ArchitectRichard L. Bowen and Associates Inc. The 83,768 sq. 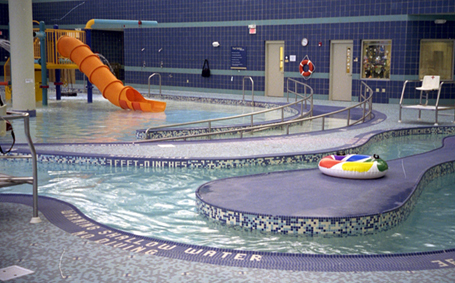 ft. Middleburg Heights Community Center is a state-of-the-art recreation, fitness, and aquatic complex, providing residents with a family friendly environment for exercise and social activities. In addition to the community center’s aquatic facilities, other programming spaces include a fitness center, group exercise studios, track, multi-purpose gymnasium, meeting rooms, and office space.